More players, more spies, more locations, and more terribly vague answers to half-baked questions! 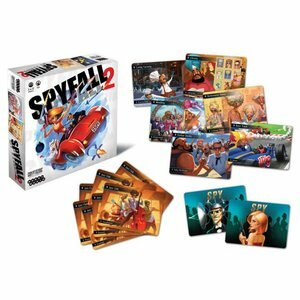 In this revised and expanded edition of Spyfall, now up to 12 players can play at once! Bigger games means more finger-pointing and shenanigans, while 20 new locations adds tons of crazy new fun to the fast-paced card game of bluffing, probing questions, clever answers, and suspicion.